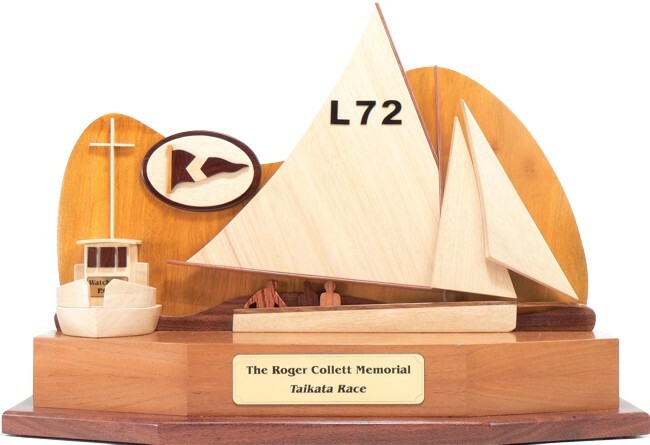 Whatever idea you have for a perpetual sailing trophy unique to your club I’ll do my best to interpret it in timber. 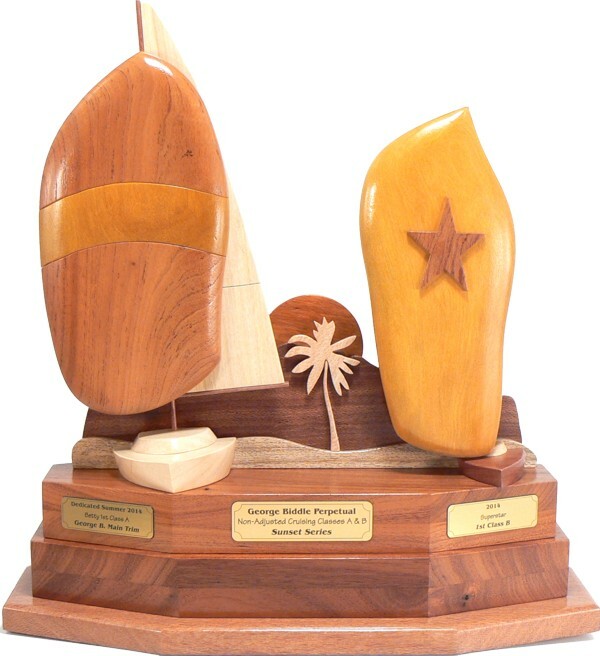 This magnificent perpetual award was commisioned by Hobie 16 sailors from Lake Arrowhead, California. 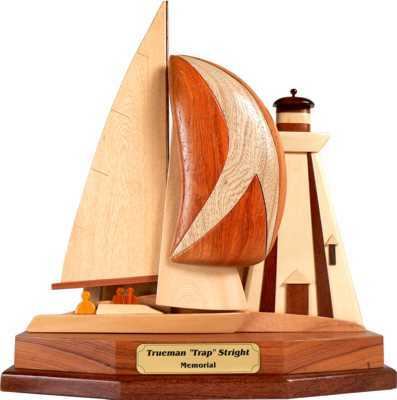 It is 32″ tall and crafted to the customers design. 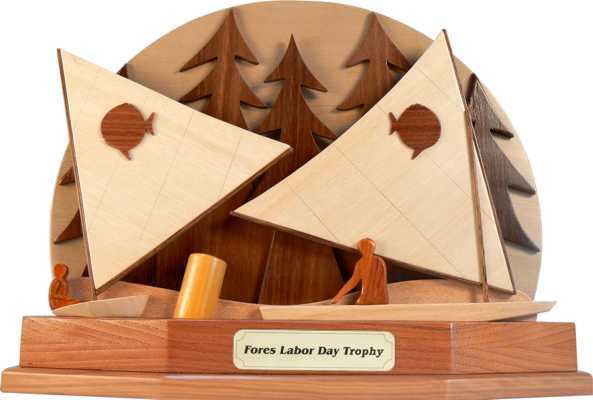 It even shows the pine trees that surround the lake. 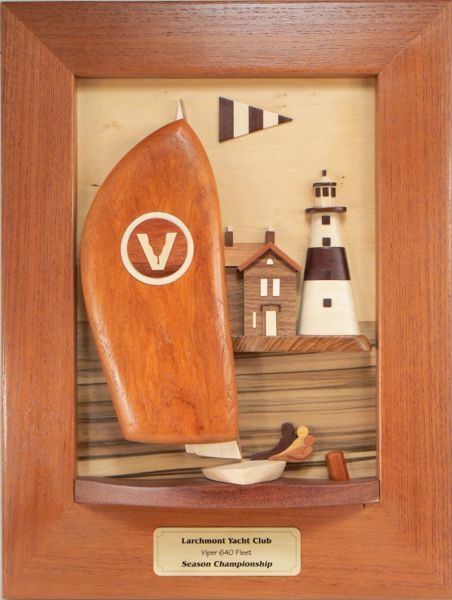 This X-95 is depicted sailing past a lighthouse that unfortunately burnt down a few years ago. 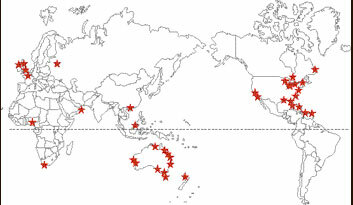 A map of the lake in the background along with their club burgee. 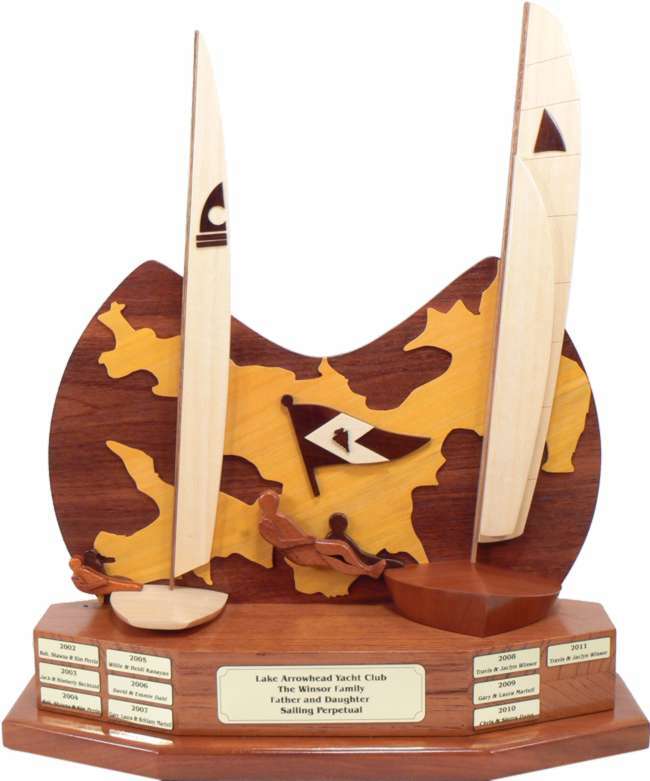 A trophy made for a club that sails on a lake surrounded by pine trees. 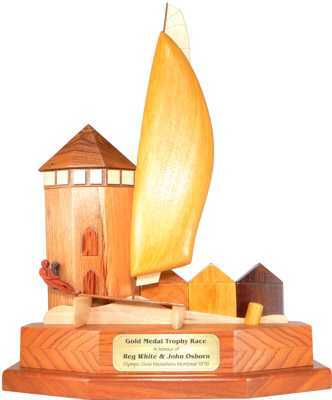 The customer specified the double base for many years worth of annual plaques. This one floats around a New York club. 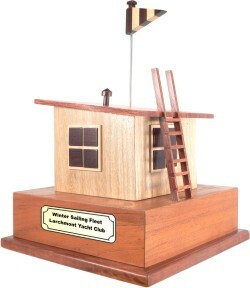 The boat with class insignia, local landmark and club burgee.